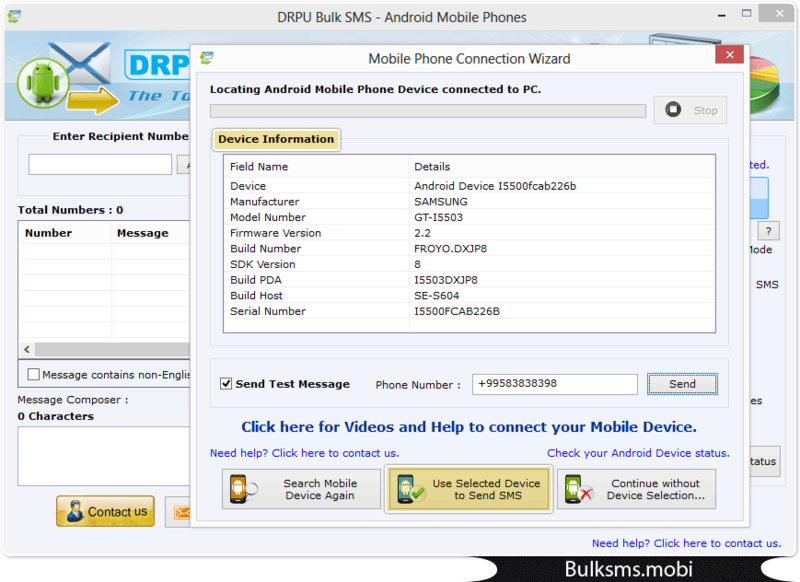 Wizard shows android mobile phone device information connected to PC. 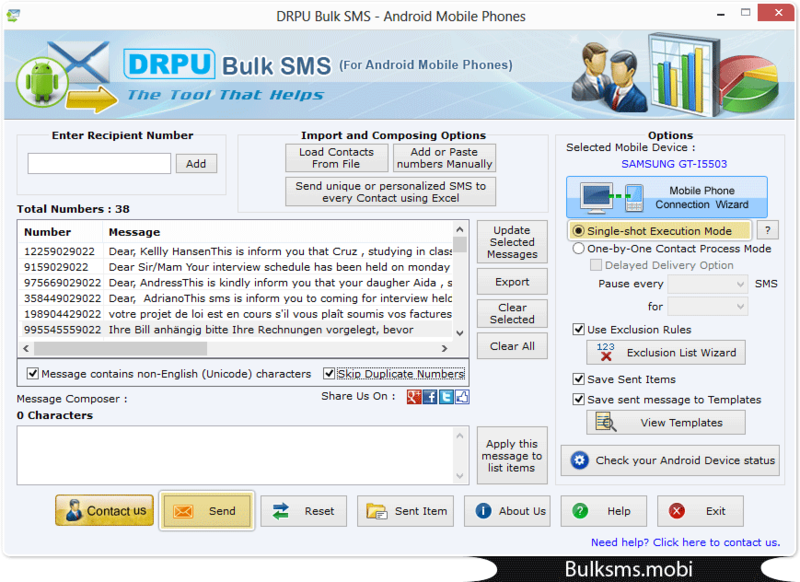 Load contact numbers using Import and composing option. Enable “Single shot Execution Mode” then click on “Send” button. 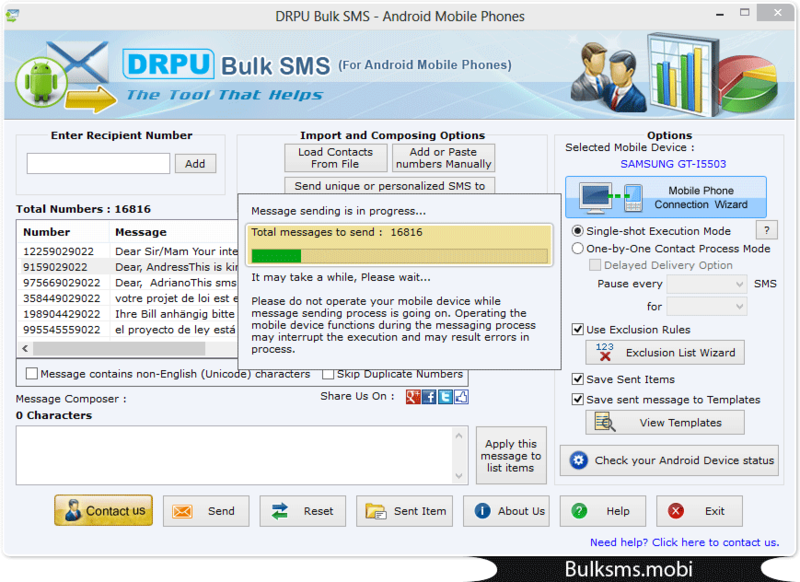 Screenshots shows current status of message sending process.